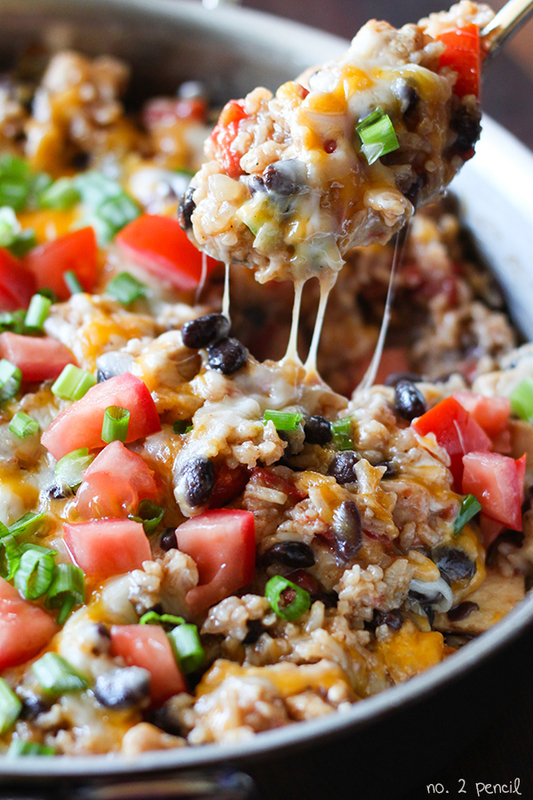 This breakfast casserole has become one of our family favorites. I’m pretty sure my little guy could eat half of the pan by himself. He just loves it! I love it because it’s a snap to make and can be served hot or at room temperature. So it’s perfect for a potluck or a brunch. 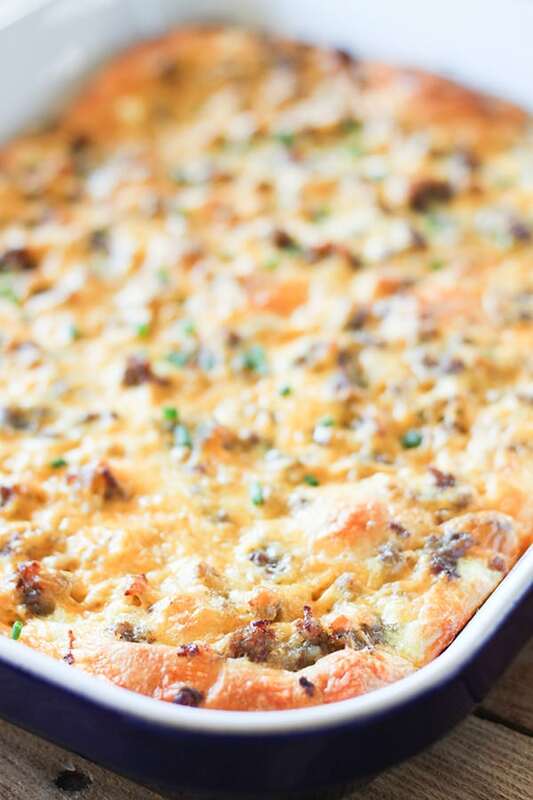 This sausage and cheese breakfast casserole is by far the easiest casserole dish I have found in a long time. 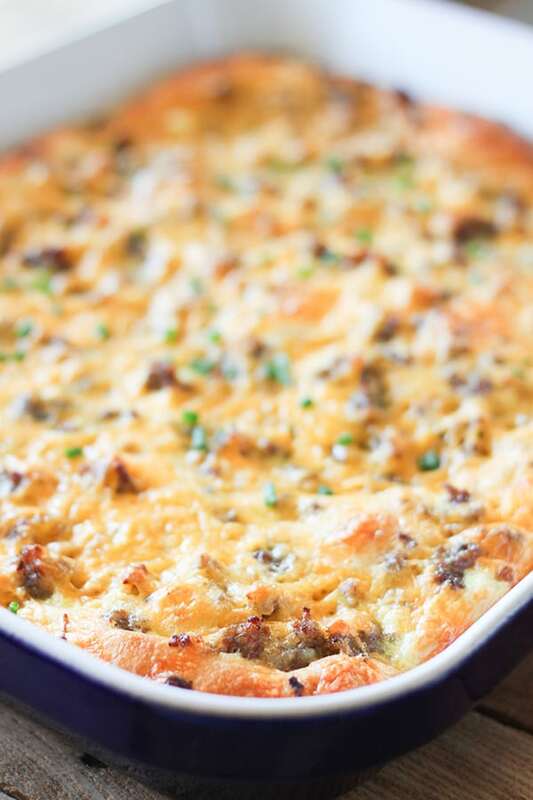 A layer of crescent rolls topped with crumbled browned breakfast sausage, cheddar cheese and eggs. We sprinkle ours with a touch of fresh chives and serve with a dollop of sour cream. Delicious and it makes great leftovers, if you have any leftovers! I found this recipe via Pinterest on Bran Appetit. 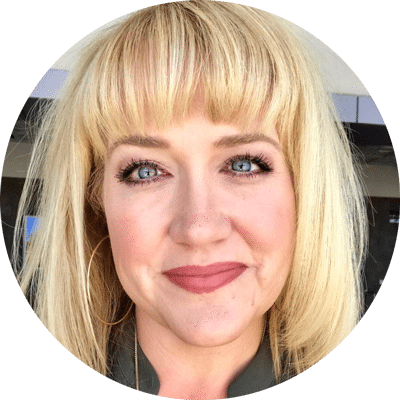 It’s a lovely blog with great recipes.. Her beautiful photo of the casserole immediatly caught my eye and I tried the recipe that weekend. We have been making it ever since. 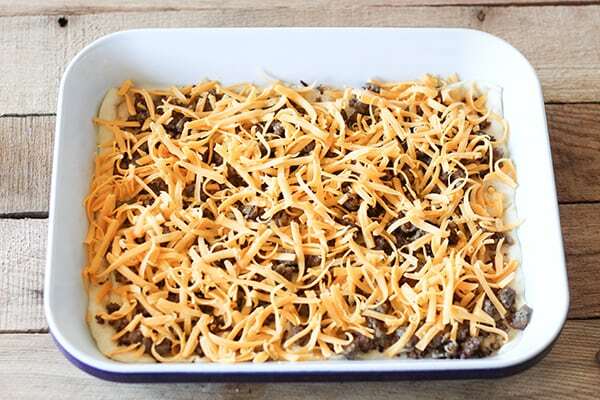 Start by spraying a 9×13 casserole dish with non-stick cooking spray. Then unroll an 8oz tube of original crescent roll dough and lightly press it into the pan. Pinch the seams of the dough together. Top with cooked breakfast sausage. Then add freshly shredded cheese. 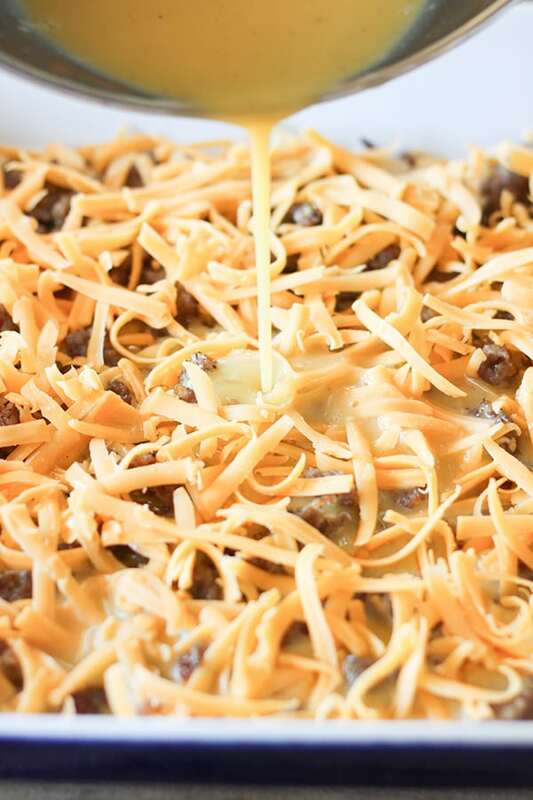 In this casserole, I used 2 cups of cheese which made it super cheesy and delicious. It’s also great with just a cup of shredded cheese. Note: If you are using a package of pre shredded cheese, only use one cup. The shreds are smaller and tightly packed together and it’s more cheese per measured cup. In a medium bowl, whisk together eggs, milk, salt and pepper. 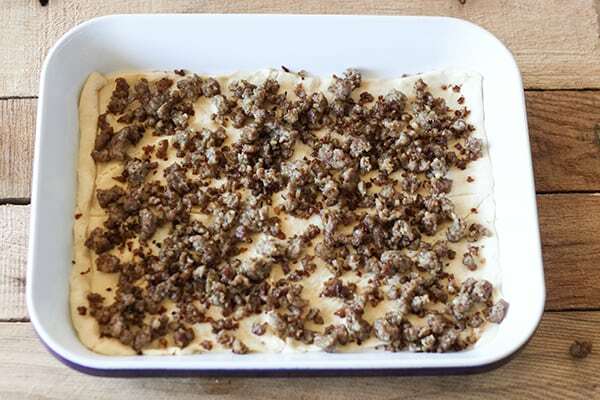 Pour egg mixture over casserole and bake 400 degrees for about 15 minutes, or until egg mixture is set. 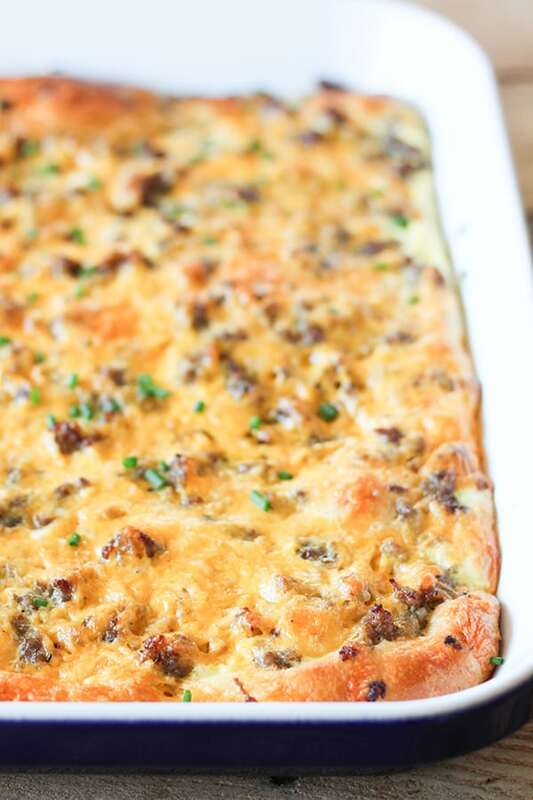 Then you have this gloriously cheesy breakfast casserole. A sprinkle of fresh chives is the perfect finish. Adapted from Bran Appetite . 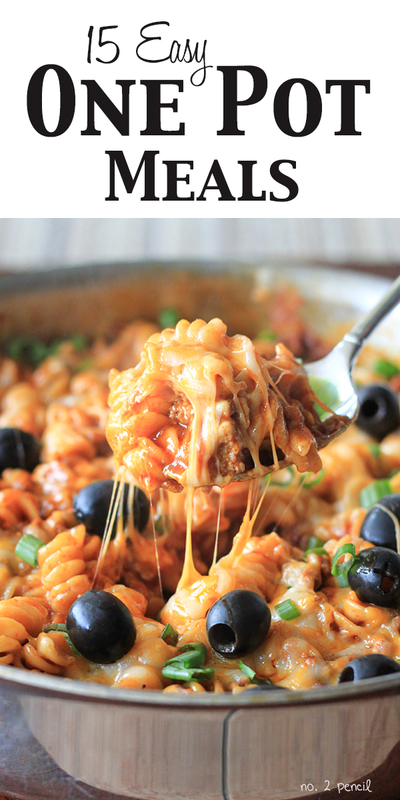 Thank you Brandi for this recipe, it has become a family favorite! Cook breakfast sausage on stove top, breaking up with wooden spoon as it cooks. Spray a 9x13 casserole dish with non-stick cooking spray. 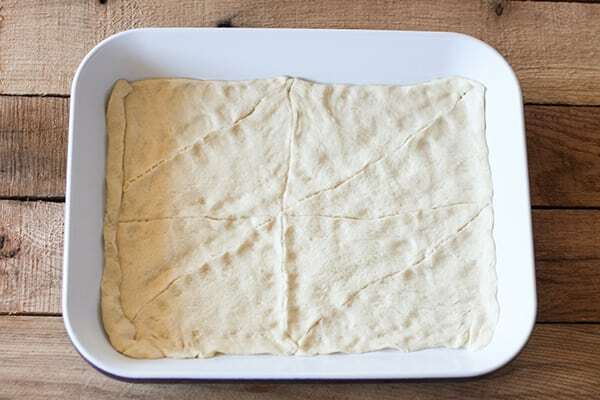 Unroll an 8oz tube of original crescent roll dough and lightly press it into the pan. Pinch the seams of the dough together. Next add a layer of cheddar cheese. Whisk eggs with milk, salt and pepper. Bake at 400 degrees for about 15 minutes, until eggs are just set. You can see more breakfast recipes here! 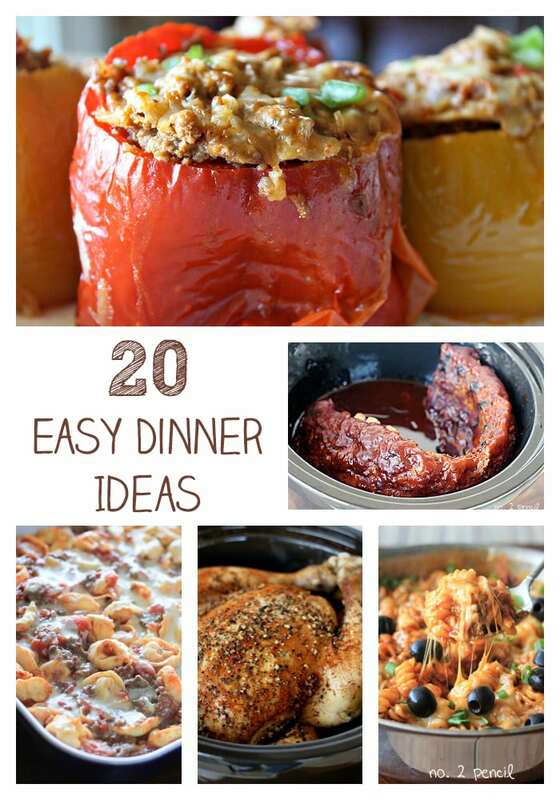 This looks so good and easy too. Thanks! This was very easy (and quick) to make! Above all – delicious! I made a few modifications and even tried it with ham, sausage, and tomato, this week. Thank you!